Movie fans love a good party. STAR WARS fans, however, prefer a Celebration. The semi-annual gathering of STAR WARS die-hards heads to Chicago this year, with a multiday festival beginning on Thursday, April 11. And AMC will be on the scene to bring you the latest updates for all things STAR WARS, including what we expect will be our very first look at J.J. Abrams’ hotly anticipated — and as yet still untitled — STAR WARS: EPISODE IX. 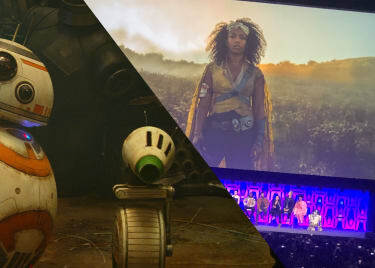 Other surprises could pop up at Star Wars Celebration in Chicago, but for now, let’s focus on what we know will be revealed. On Friday, April 12, the eyes of the STAR WARS universe will be turned toward the main stage at Wintrust Arena, where Lucasfilm President Kathleen Kennedy and director J.J. Abrams will fill fans in on details of the December 20 release. 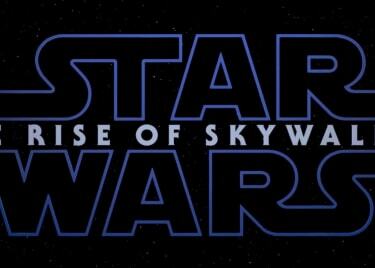 STAR WARS: EPISODE IX will conclude the Skywalker saga that began so many years ago in the original STAR WARS. Though Han Solo (Harrison Ford) and Luke Skywalker (Mark Hamill) have moved on, the new story will continue to build on the backs of the new characters — mainly Rey (Daisy Ridley) — while bringing the narrative to what we hope is a satisfying ending. What are some things that Kennedy and Abrams could tell fans? How about a title, for starters? 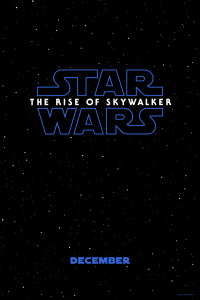 While the titles of the recent films in the new trilogy haven’t revealed much — THE FORCE AWAKENS and THE LAST JEDI are intriguing, but vague — fans no doubt will debate what the selected subtitle for Abrams’ trilogy capper is and what clues it could reveal about the direction of EPISODE 9. Not that we are trying to be greedy, but we’d also love to see the first trailer for STAR WARS: EPISODE IX drop during Star Wars Celebration. It’s amazing that we are months away from the film’s December 20 release date, and we haven’t seen a frame of finished footage. Granted, this is a STAR WARS film, and fans will flock to theatres no matter what the footage in a trailer looks like — especially for EPISODE 9, which will bring the long-standing story to a close. But Lucasfilm could really earn goodwill with fans by releasing a first-look tease during Celebration in Chicago. If Walt Disney and Lucasfilm really want to blow the doors off of Celebration, though, they will look ahead beyond EPISODE 9 to the slate of films that might be in development. 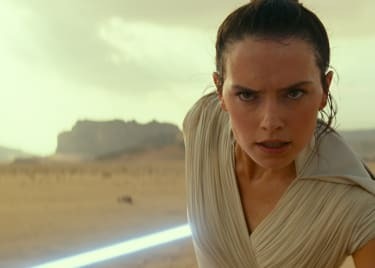 Right now, fans have no clue what STAR WARS films might be coming after EPISODE 9. There are rumored projects, from an Obi-Wan movie with Ewan McGregor to planned trilogies from both Rian Johnson and the “Game of Thrones” masterminds David Benioff and D.B. Weiss. But details on these are scarce at the moment. Whatever AMC learns during Star Wars Celebration, we will bring that information right to you. In the meantime, keep planning for STAR WARS: EPISODE IX, which will arrive in theatres with a fair amount of fanfare on December 20.